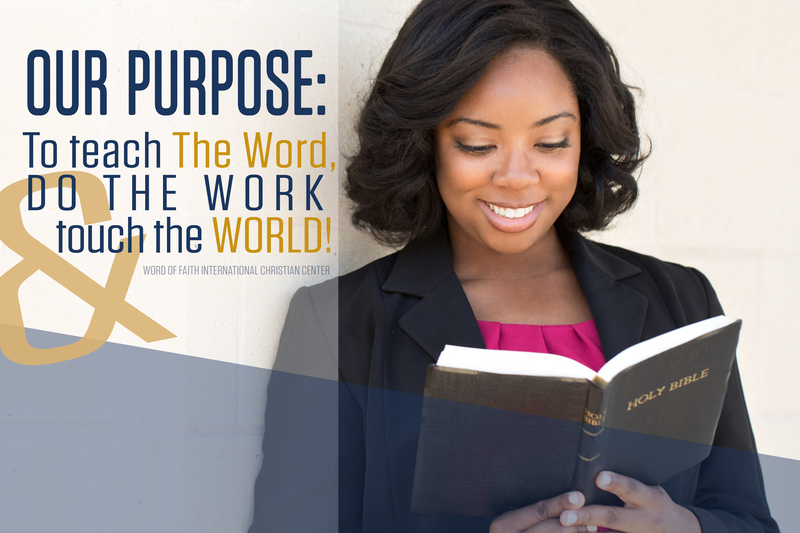 Our purpose is to Teach the Word, Do the Work & Touch the World! Word of Faith Int'l Christian Center exists as a teaching and education ministry. We are to teach believers their right in Christ Jesus and how to exercise these rights and exercise the practical application of the Word in their daily lives. We are a Wholistic church–thorough development in the Word, we are called to minister to believers spirit, soul and body. We are a Missions church, called to domestic and international mission, with a primary focus on Europe, internationally.